The Tweezerman Neon Hot File, Buff, Smooth & Shine Block is a 4-in-1 nail tool for achieving a flawless manicure at home. Lending nails a smooth, natural finish, the versatile buffing block has four sides with removable pads to file, buff smooth and shine. Gentle yet fast and effective, the block will expertly shape and smoothen your nails, leaving them looking healthy and shiny. The replaceable pads are colour coded and labelled with easy use. 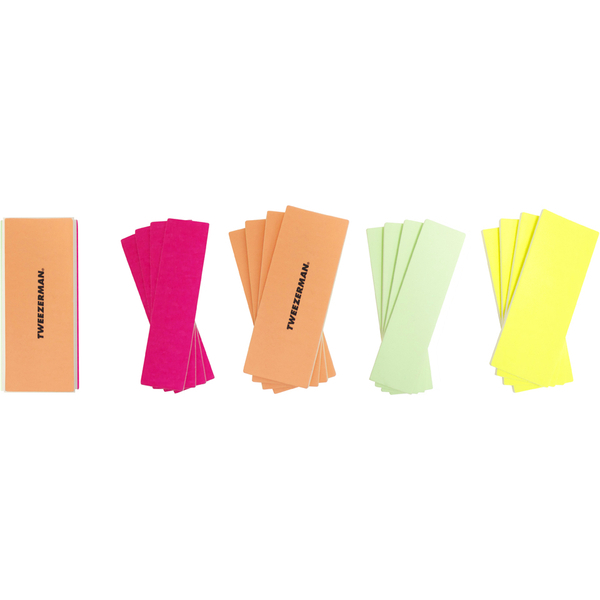 Let the neon coloured pads guide your way, using the pink side to file, orange to buff, green to smooth and yellow to shine. Simply peel off sides and replace as needed.